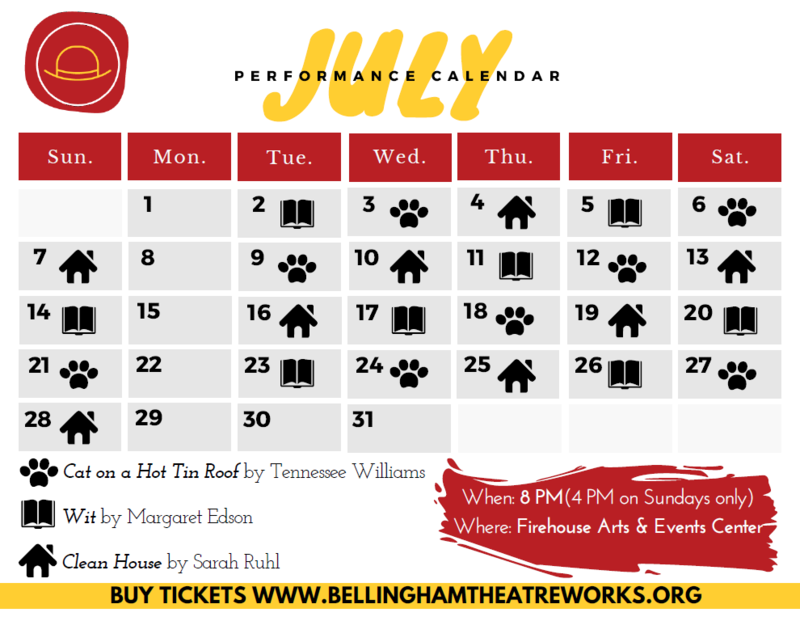 In July Bellingham TheatreWorks is producing three plays: Wit, The Clean House, and Cat on a Hot Tin Roof. We are producing six nights a week. Each play is produced twice a week for four weeks. All performances are at the Firehouse Arts and Events Center. 1314 Harris Ave (near 14th) in the Fairhaven area of Bellingham, WA. Below, you may select an individual play or purchase a season pass to see all three plays.